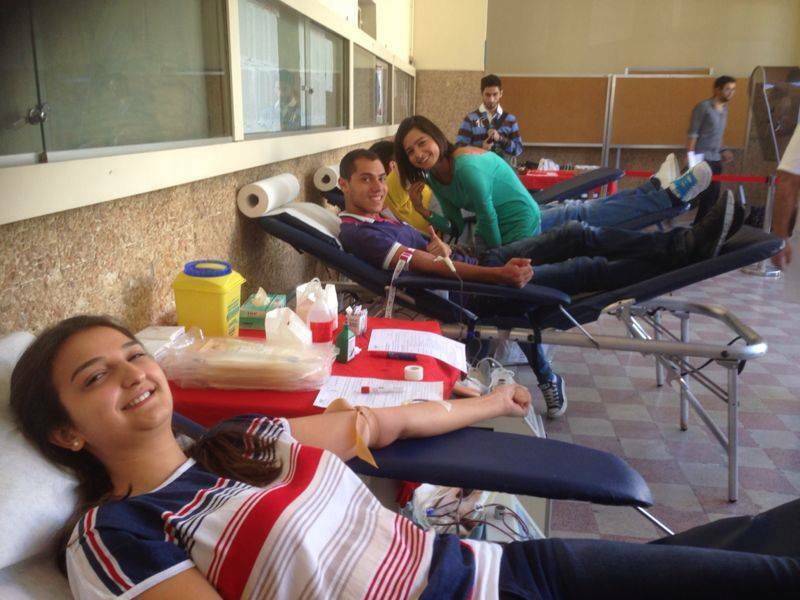 »Activities»The Universities Blood Drive Season Kicks Off From USJ – CSM! The Universities Blood Drive Season Kicks Off From USJ – CSM! We were very happy to restart our universities blood drive season at USJ – CSM on Wednesday, October 9. On this warm autumn day, students from the medical sciences’ campus rushed to donate, showing as usual some great enthusiasm and dedication to the blood donation cause! Goodies were awaiting the heroes, while those who couldn’t do so were there to support their friends and take some awesome shots with them and our awesome mascot, hoping to imitate them in the near future! Thank you again for saving more than 150 lives CSM! You can watch the full album’s photos here. ← Our First Volunteers’ Training Session At Jamhour!